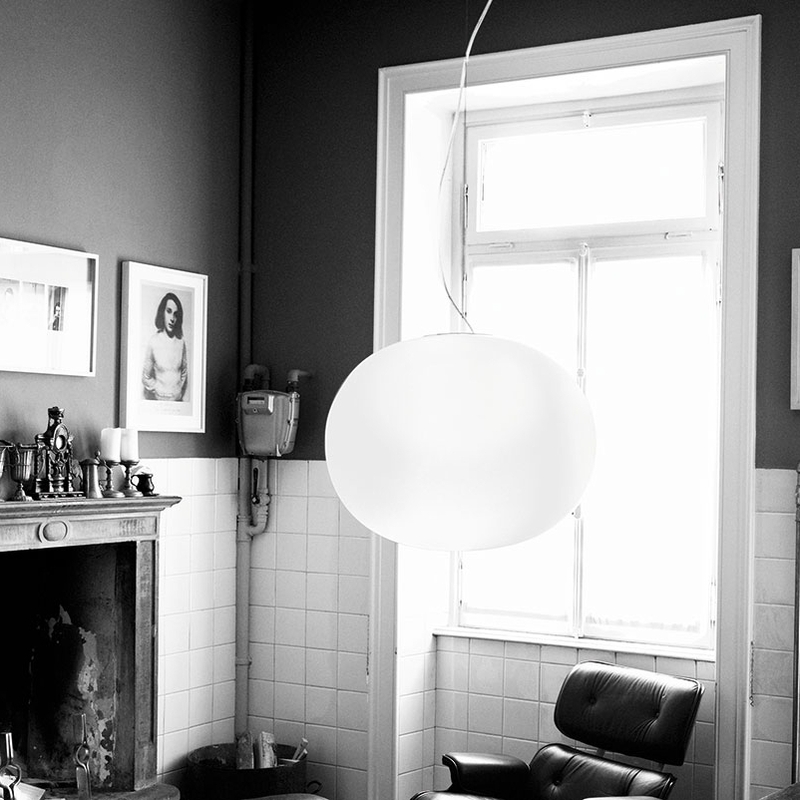 The Flos Glo-Ball S2 is a pendant lamp of a special charisma - in two respects: the design by Jasper Morrison impressed first by the large oval opal glass diffuser. When the light is turned on makes the Glo-Ball S2 to its name and becomes the glowing ball, which appears to float in the air. She fills the room with smooth, relaxing light. For these reasons, this pendant lamp by Flos real eye-catcher, no matter where they are found.